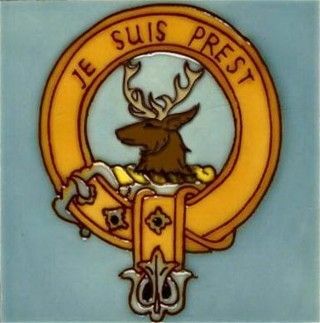 A hand painted ceramic coaster tile featuring the crest of the Scottish Fraser of Lovat Clan. 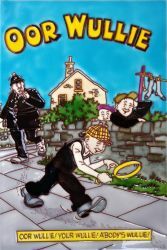 It makes a distinctive wall plaque or it can be stood on a shelf or desk. A great gift idea!